EPA Says It Has Found More 'Defeat Devices' In Volkswagen Cars : The Two-Way The U.S. government says the German automaker's software allowed 10,000 more diesel cars than it had acknowledged earlier to run more cleanly during emissions testing than in real-world conditions. The Environmental Protection Agency said Monday that additional diesel Volkswagens were equipped with "defeat devices," making them run more cleanly during testing. 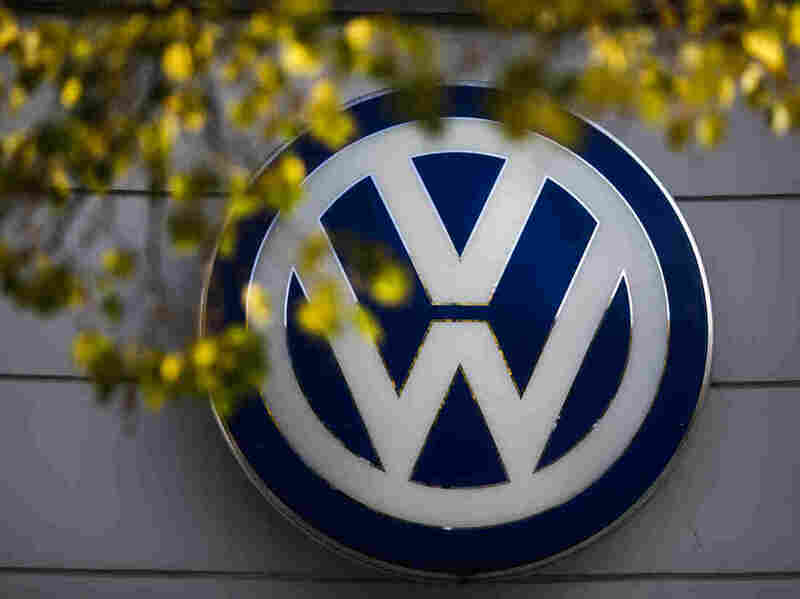 The U.S. Environmental Protection Agency said Monday that it has discovered more Volkswagen cars containing software that helped them cheat emissions tests. The most recently discovered batch of 10,000 vehicles that the EPA says are equipped with "defeat device" technology are 3-liter diesel engine cars, including several Volkswagen, Audi and Porsche 2014 to 2016 model years. "Continued testing by the EPA has discovered illegal software on 7 more VW owned models. They include 3 SUVs, the 2014 VW Taureg, the 2015 Porsche Cayenne and the 2016 Audi Q5." The EPA said in a statement that Volkswagen failed to disclose the software, and that the software itself is illegal as it makes cars run more cleanly during testing than they do in real-world conditions. EPA Assistant Administrator Cynthia Giles says this is possible because the engines have two modes: one for tests and another for normal driving. "In this higher emitting normal mode, the three liter diesel vehicles that are the subject of this notice of violation emit up to 9 times as much NOx as is allowed under federal standards." NOx is nitrogen oxide, one of the components of smog. "VW has once again failed its obligation to comply with the law that protects clean air for all Americans," Giles said in the statement. "All companies should be playing by the same rules." Volkswagen released a statement in response to the EPA's notice of violation, acknowledging that six-cylinder diesel cars had a software function that had "not been adequately described in the application process," but asserted that "no software has been installed in the 3-liter V6 diesel power units to alter emissions characteristics in a forbidden manner." This is just the latest revelation to rock the company since the EPA initially announced the discovery of defeat devices in nearly 500,000 2-liter diesel cars in the U.S. in September. That finding triggered global scrutiny of the company, which eventually admitted more than 11 million cars around the world were equipped with the emissions test-defeating technology. The company has already set aside billions of dollars to fix the cars, and this latest finding could cost them even more. Monday's notice of violation covers a much smaller number — 10,000 cars — according to the EPA. The Associated Press reports that "Volkswagen faces fines of up to $37,500 per vehicle, which means up to $375 million could be added to penalties already projected in the billions of dollars." According to an EPA spokeswoman, the German automaker must also reapply for certification of its 2016 2-liter diesel vehicles following the discovery of suspect software last month.